Mad Max: Fury Road Set Photos Showcase an Enormous Speaker Truck! Earlier this month, a number of photos surfaced from the Nambia set of Mad Max: Fury Road that showed some of the futuristic vehicles. Today, we have a new batch of set photos with a closer look at more future cars, including an insane truck outfitted with a towering array of speakers. 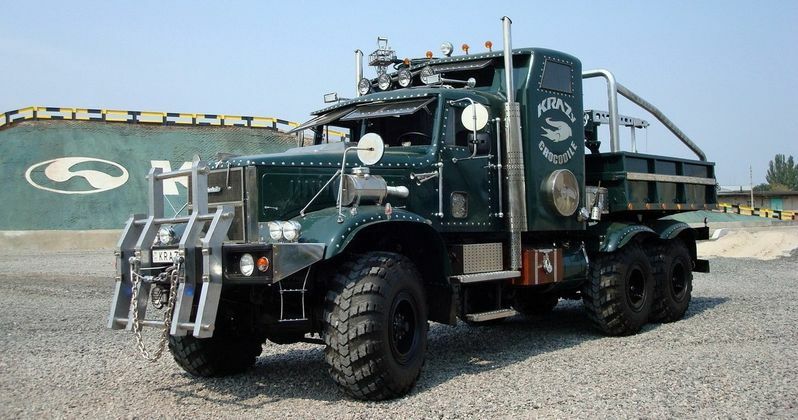 We have no clue as to what role this ear-shattering truck plays in the apocalyptic thriller, although it sure is an amazing sight to see. Take a look at these photos, that also include some other off-road vehicles. These images have been removed at request of the studio.